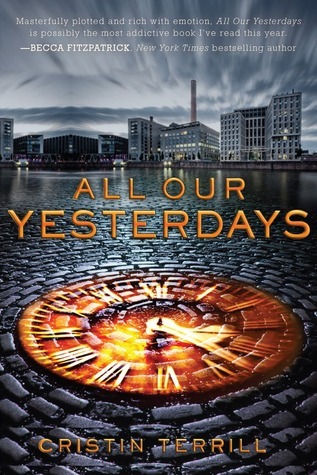 Review All Our Yesterdays was one of my most anticipated Summer releases. When I finally sat down to start it I was completely sucked into the story. All Our Yesterdays is unique in the fact that the time travel aspect isn't just in the background. No, the entire story is based around the time travel itself and how easily it can be misused in the wrong hands. We learn early on that Em and Finn have traveled 14 times already and each time have failed in preventing the machine from being built. The beginning of the book hands down has one of the strongest openings that I've read this year. One of my favorite things about All Our Yesterdays were the characters. I cared for Em from the very first scene. The Author painted the scenes perfectly to show how hopeless her situation is. It must be awful to bear witness to so much horror and know someone you love is behind it all. Now if Em is supposed to be the serious one then Finn is definitely the comic relief. I loved his sense of humor and felt it helped balance the somewhat downer that the rest of the story is. Without Finn this book might not of worked for me. Lastly, I loved Nate. He was the perfect older brother and a genuinely good guy. It was horrible seeing him put through the wringer time and again. Lastly, I loved how gripping the story was. All Our Yesterdays reads like an action film. It's pacing is perfect and just when you think the story might be slacking something happens where your pulled right back in. I would love to see this book as a movie. I have no doubt if done right it could be blockbuster huge. 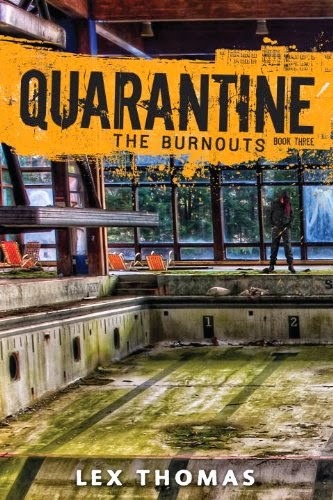 If you like romance, action, thrills and chills then this book is definitely for you! Now I will say that while I really did enjoy this story I did have a few small gripes. I really wish the story went a few more chapters with each character before flashing back or forward. Just when we get into something with the past it's time to go back to the future or vice versa. While this might work for some readers it just didn't for me. I also really wish it hadn't been so obvious who the Doctor was. Maybe it was supposed to be but I really would of liked to play the guessing game a little bit longer. Overall, All Our Yesterdays is a phenomenal debut and I can't wait to see what this Author brings to the table in the future. I highly recommend picking this one up if you haven't already. I promise this one is worth the price. With that being said, I'll be rating All Our Yesterdays by Cristin Terrill ★★★★. Ohh I always have the same problem when it comes to novels that flash between times. I just start to get into it and then the author switches it up. Glad to hear that you still enjoyed it in the end though. Sounds like an interesting read. I just wish we could've spent a bit more time between that happening. It's a really good time travel book but the frequency did impact my overall opinion some. Dude, I freaking loved this one. It would make for an awesome movie. Has it been optioned already? I can't remember. I, too, thought it was too easy to figure out who the Doctor was, but I kind of don't think it was supposed to be especially hard, kind of the way it was easy to figure out the future and past selves. Either way, it kept me totally engrossed. Wish I didn't have to wait to read the next book, but I'm glad it's just a duology. Oh, I thought this was a stand alone? When did it turn into a duology?? I don't know if it has been optioned yet but it should be!